I'm crackin up over here! 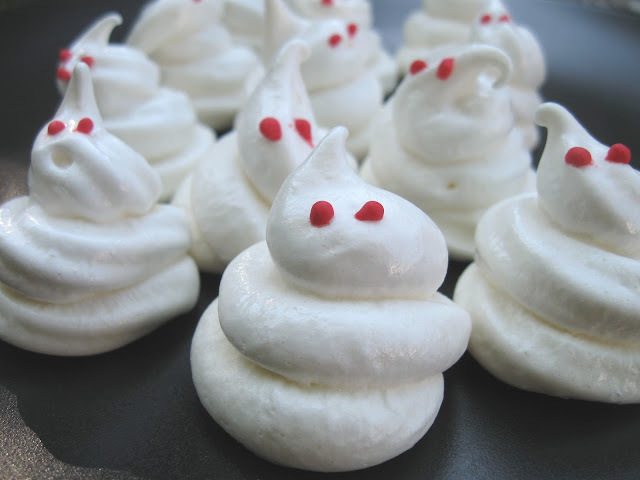 These little ghosts are causing way too much giggling for someone alone in the house! 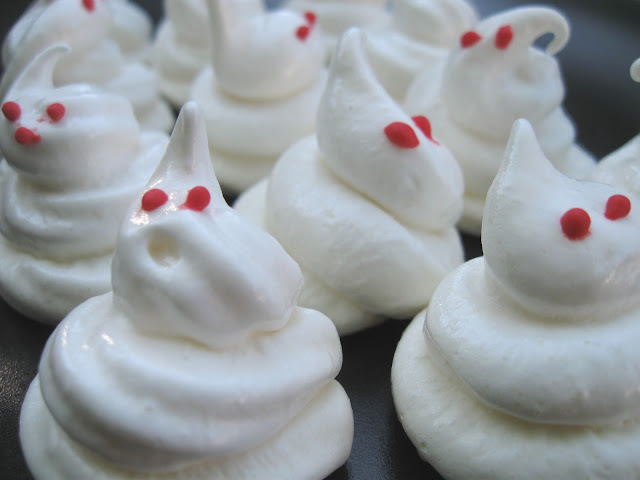 The little guy on the left is my favorite - with his 'O' mouth - I wish I could have gotten all the meringues to do that. I did also try several of them with black eyes and orange eyes but the tiny red dot was the favorite - my daughter said "they're super creepy with red eyes. You have to use the red mom"
Therefore, red eyes it is. 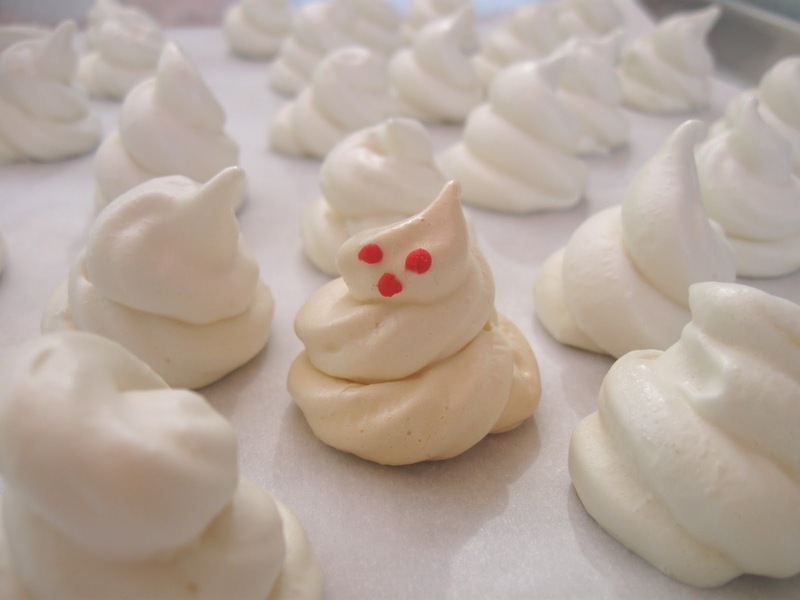 This is a basic meringue recipe. YES - about halfway through my first tray I decided I had lost my mind but was too far gone into the project to quit. At this point I used a toothpick to carefully apply the creepy eyes. 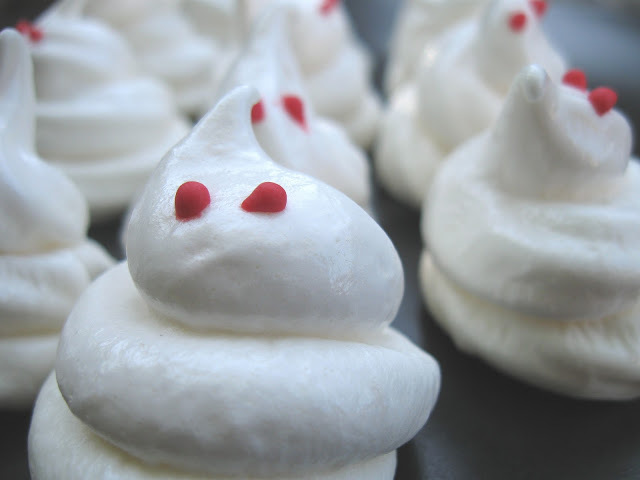 We did also decide we liked them best with only eyes...no nose or mouth. But you play with it and see what you like best. Have FUN!